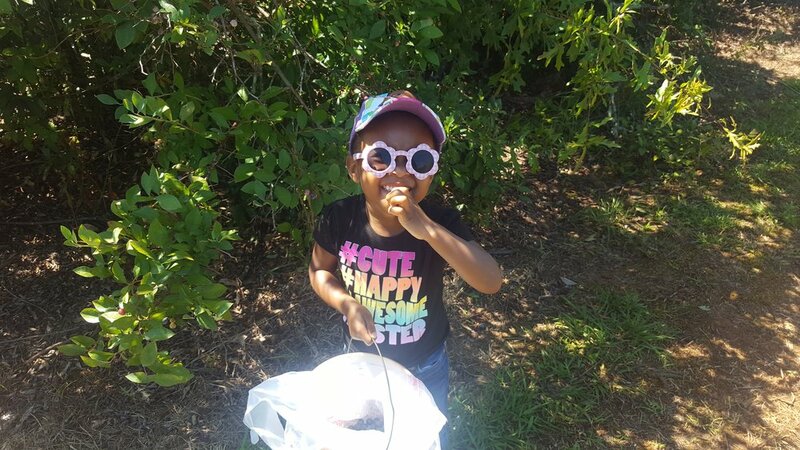 On Tuesday we went blueberry picking. It was a fun adventure. Much different than apple picking. Blueberry picking requires more patience than 1 person with 2 toddlers might be able to handle. We managed to get some blueberries. Probably not as many as we ate, but enough to make a couple things. I had tons of plans of all the blueberries we were going to pick. But there was a special request for blueberry cupcakes. I made some lemon blueberry cupcakes for my son's birthday, the recipe can be found here. As much as I would love to bake cupcakes I knew muffins would be a better alternative for us. 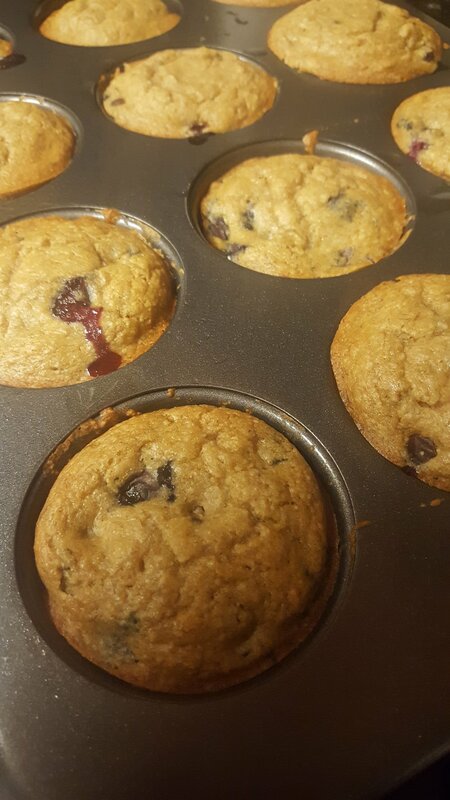 So I made a quick and easy vegan blueberry muffin recipe. I've used a banana as a substitute for eggs and soymilk as a substitute for real milk. I keep frozen bananas on hand for vegan baking. Just let them thaw and mash. You can also use applesauce as a substitute. These muffins are super quick. You can even use frozen blueberries. They stay together and don't bust like fresh blueberries. I used whole wheat flour which comes out denser than white flour, so sometimes I use a mix to have a better balance. Either way, these blueberry muffins are delicious! They make a great snack or morning addition to breakfast. 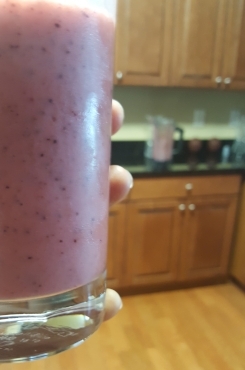 We couldn't have fresh blueberries without making a smoothie. And this Berry Mango Smoothie was amazing. Often times people ask how my kids get their protein. The easiest and best way for me is to stick it in a smoothie. I used greek yogurt in this smoothie but added some sweetness to counter the tartness of the yogurt. Honey is my sweetener of choice, but agave works just as good. Using frozen fruits is great, you can omit ice that way, but using fresh fruit provides more juice and makes a sweeter smoothie. And either way, this smoothie was amazingly delicious. Where do they get their protein? What's the Big Deal with Screen Time?